Enter to Win A Free Full Detail! Millennium Auto Sales used car dealership in Mesa Arizona sells quality used cars for great prices with great service. At our car lot we have a variety of vehicles to choose from and are only minutes away from Gilbert, Chandler, Tempe Scottsdale and Phoenix. 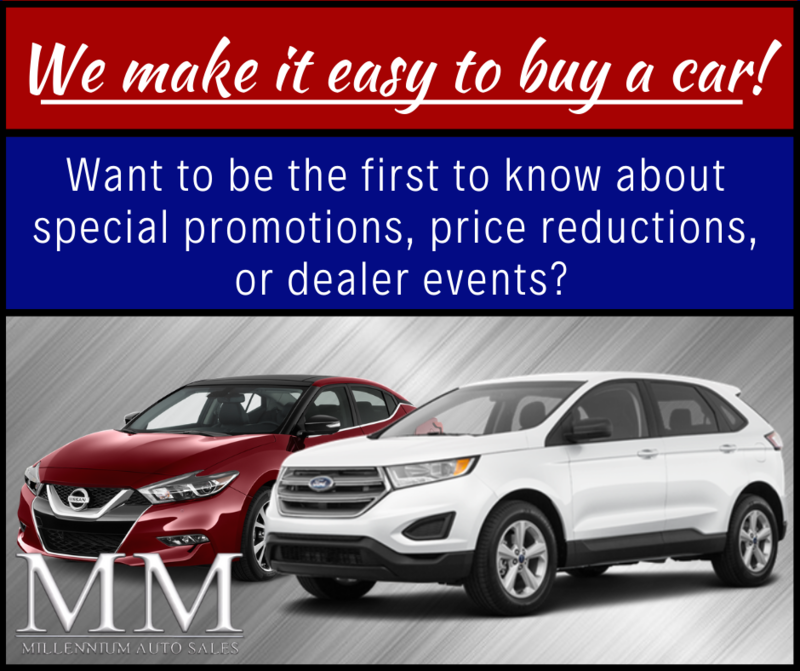 When you're ready to buy your next car, truck, SUV, motorcycle or van come see what we can do for you at Millennium Auto Sales. Find a new pre owned car that is ideal for you today!